Prayer is an important and a vital part of Christian living. To a person who is born again, prayer is as essential as breathing. It really determines your life and relationship with the Lord God Almighty. To neglect prayer can result in weakness and defeat. It is of supreme importance that we as Christians must pray. Not as a daily chore, or a works type of prayer, but to have a prayer life that comes from within the heart because of your love for God and because of your hunger and thirst for more of God in your life. There are many reasons why prayer is of supreme importance in the life of a Christian. Prayer is the vital breath in our born again life. Our new life can only be sustained by prayer. Without prayer we can become lifeless and ineffective. This means we should pray privately, frequently, regularly, in times of trouble and without ceasing. 1 Thessalonians 5:17 says “pray without ceasing”. We must have a prayer lifestyle. It is a great privilege to pray. Prayer to us must be the greatest privileges of all. 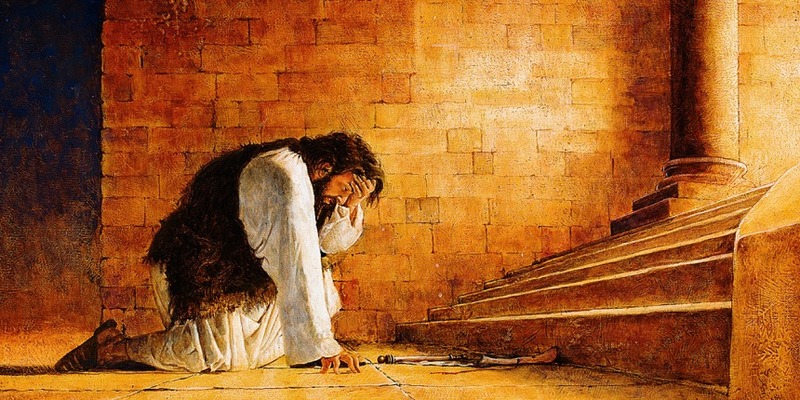 There is no greater privilege than to enter into the holiest of all, into the throne room of the king, and to bow in humble worship at His feet, to speak to Him face to face. How great is this amazing privilege? Its only through prayer that God’s will be accomplished. The Bible tells us that God fulfills His purposes and working through our asking. James 5:17 says “Elijah was a man with a nature like ours, and he prayed fervently that it might not rain and for three years and six months it did not rain on the earth.” The purpose of prayer is not for God to alter His will, but to provide Him with a channel through which He may accomplish His will. Let us look at the prayer life of King Hezekiah to understand and learn how we can be effective in our prayer life and how we can come before the Lord in prayer. What we see here is that Hezekiah, King of Judah, had received a letter from Sennacherib denouncing the Lord. The king of Assyria, which was a much more powerful nation, made plans to overthrow Hezekiah’s kingdom. They kept taunting the kingdom of Hezekiah and throwing threats towards him and the kingdom. Finally they sent a letter by messenger to Hezekiah, which basically was saying, that the Assyrians are a strong and mighty army and the Kingdom of Judah is next on their list. They ridiculed all the gods of the other nations, and also ridiculed the God of Israel. It was a credible, realistic threat and King Hezekiah had every reason to be afraid. We can see here that King Hezekiah is at a real crisis point. He’s got two choices to make, and many of us in difficult situations are often posed with these two decisions to be made. You can either be driven away from God or be driven to him. You can either look into the world and the wisdom of the word for answers or your can be driven even deeper into the Lords embrace. It could have been very easy for Hezekiah to seek the wisdom of his counselors, or to go to his army chiefs, to seek worldly council on how they could devise a plan to overcome this great enemy who is ready to destroy them. Or even at worst, he could have possibly thought of surrendering to the enemy. King Hezekiah did none of this, but his first reaction was to go directly to the living God Himself. Hezekiah’s choice was wise and he decided to run to the King of Kings and Lord of Lords, to the one who is mighty to save. Lets look at the following some things that outlines his prayer before the LORD. The first thing King Hezekiah did when he read the letter was to get alone with God and immediately. Some of the most effective prayer time of your life will be the time you invest alone with God. In fact Jesus Himself showed us by example that it is important and vital to spend time alone with God and be in a habit of continuously entering His presence from where you will receive nourishment. When Jesus started His ministry, it was only after spending 40 days alone in the desert with God the Father. This was His preparation time, a time alone with God, a time where He could hear the voice of God and to be still in His presence. A time to listen to the council of God and for strength that would launch Him into His calling and ministry for which He came into the world. Similarly, God has a calling upon your life. That is why you have received salvation and why Christ has been revealed to your hearts. In order for you to live according to Gods calling and election, you must spend alone time with God. For Him to teach you, strengthen you and to build a strong, unshakable relationship with the Lord Almighty, you must know Him personally and closer than anybody else in your life. Hezekiah knew his place as king but he also knew God’s place as the King of Kings and Lord of Lords. Hezekiah was a king of a nation, but God was creator and king over all things whether in heaven or earth, whether things that can be seen or the unseen. He is sovereign almighty God, Jehovah who is worthy of every praise and all glory. Hezekiah came before the Lord in honor, in humbleness and with reverence of who God is. With his mouth he praised and worshiped the Lord, giving Him all the praise that is due to Him. In this modal prayer that Jesus taught us, he is saying that when we begin our prayer before God, we must do so by praising Him and worshiping Him. Now why should we begin our prayer with praise and worship to God? We should do so because it takes the focus of ourselves and puts the focus solely on God and by that we can begin to talk to God, and not just simply talk at Him. When we praise God, we are thanking God for who he is and what He is. It means to value Him, to esteem Him, to magnify Him, to glorify Him, to declare the character of God, it is declaring His might and power and sovereignty over all things. Praising is declaring how good God is and that he must be honored and that allows us to enter His presence in humbleness and in awe of who God is and to know into whose presence we are entering. In the same way as King Hezekiah came before the Lord in such boldness, we too must be able to come before the Lord with such confidence because of our relationship with the Lord. First we need to examine our prayer lives before God. Do we have such a relationship with God that you can run to him first, and speak out your mind to Him? In this situation Hezekiah knew he was out of his league facing the Assyrians. He knew the reality of the situation around him, and he didn’t try to minimize the scale of the opponent he was against. He went before the Lord with his honest thought and poured his heart out to the Lord, displaying that he was totally dependent on the LORD in this situation. King Hezekiah is proclaiming to the Lord, that it is true that the Assyrians have laid waste to the lands and have cast their man made gods into the fire. What we see here is the Hezekiah comes to the Lord, humbled and in all his weakness. He cannot do it in his strength, but he knows that he can fully trust God, because he is not like the gods of everyone else, but Yahweh is King of Kings and Lord of Lords. Hezekiah had the kind of faith that allowed him to pray with confidence, being completely dependent on God and certain that God would save them. Not only that but his ultimate goal was through the answer of his prayer, God Almighty will be known as the only true God and all glory and praise be directed to Him. If the Kingdom of Judah is captured like every other land, there will be no difference from the other man made gods. But Hezekiah is pleading, “Lord distinguish yourself, by distinguishing us”, so that the whole world will know and be made to confess, that you alone are God, the self-existent, sovereign, mighty God. Notice that the most powerful prayers are those that bring glory and honor to God and according to His will. Just like the “Lord’s Prayer” taught to us by Jesus. It begins with “Hallowed be your name”, and this must be the ultimate goal in everything we do, to bring glory to him in our every word and deed. Examine your prayer life today, and consider whether what you pray for, are the things that bring glory and honor to God? Is God your first point of contact or do you run to someone else or something else, and coming to God is when all other options are exhausted? He must be first in all things, and then you will see His work performed in your life. God responds to this simple yet powerful prayer that King Hezekiah prayed. But what we must understand is that even though King Hezekiah was a man of great faith, this particular situation rattled him. It shows that even such great men of God are also fallible and just human like us. Likewise King Hezekiah also recovered from the fear of the situation he was in because he chose not to listen to the voices around him that could discourage him and bring him down from trusting God completely and ultimately allowing the situation around him to determine if God can help him or not. Instead Hezekiah chose to bow in the presence of the LORD. He rent his clothes, covered himself in sackcloth and went to the LORD for help. This is when you begin to see that Hezekiah came to God in a state of complete humbleness and dependence on God. Proclaiming that He alone is God and there is none other. He alone is sovereign and mighty, and it is in the God of Israel that he is going to put his trust in. Have you ever found yourself in a situation where it seems absolutely impossible? You may see yourself as a strong Christian and have a strong relationship with the LORD. But in the situation you are in right now, fear has overtaken you, just like it did to King Hezekiah and Elijah, great men of God. What is going to be your response? Come to the throne room of God, bring yourself into His presence and sit at his feet and bring to him all your supplications and requests. Humble yourself in the presence God and acknowledge that He alone can do all things. It is He alone that can change your situation. When you take your trust of the world, from the wisdom of this world, from the discouragement of this world and put it solely on Jesus Christ, then this is where your victory will be. In your weakness and in your situation, the glory of God will be revealed. Praise God. God had answered supernaturally and all king Hezekiah had to do was to allow God to bring the victory. He did not have to do anything but to have complete trust and faith in God Almighty. And in this way all glory and praise was to the LORD. Today, allow God to work in your situation. Trust in the LORD, and not in your strength. God is our rock and refuge and He helps us in all situations, whether they be small or difficult situations when we seek His help.